What’s old is new again. Mid Century Modern furniture, made popular by American designers Charles and Ray Eames, as well as Europeans Le Corbusier, Eero Saarinen and Hans Wegner, came to the fore in the 1950s. The clean, sharp lines, stunning simplicity and functionality of Mid Century Modern design became a staple look of the period, spawning several smaller schools, including Retro, Space Cowboy, Sputnik and Danish Modern. Now these looks are back, with vintage Mid Century Modern consoles, chairs, tables and sofas commanding high prices. However, the sheer size of typical Mid Century Modern pieces can be hard to ship and costly using traditional methods. CitizenShipper, an online shipping service established in 2008, offers thousands of verified drivers who compete for your business can safely pickup and drop off your Mid Century Modern furniture for a great price. 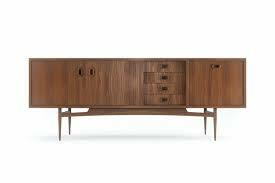 Click here to get quotes for Mid century modern furniture delivery. Mid Century Modern consoles, usually made of rare wood, are in high demand. This entry was posted in furniture shipping, Household Items and tagged Eames, large item shipping, mid century modern. Bookmark the permalink.